Drymix mortar for thin layer tiling has often to meet various technical requirements, such as good performance, good water retention, long open and adjustment time at high temperature, and good anti-sliding properties, etc. On the basis of the base to be tiled(such as concrete surface, brick structure, lime-cement plastering primer, plaster, wood, old tile surface, gypsum wallboard, aerated lightweight concrete, particleboard, etc) and the different tiles to be used(such as the natural stone and various ceramic tiles), tile adhesive must provide high bond strength between various covering materials and various foundations after hardening, taking into account frost, moisture, and the possibility of long term immersion in water. 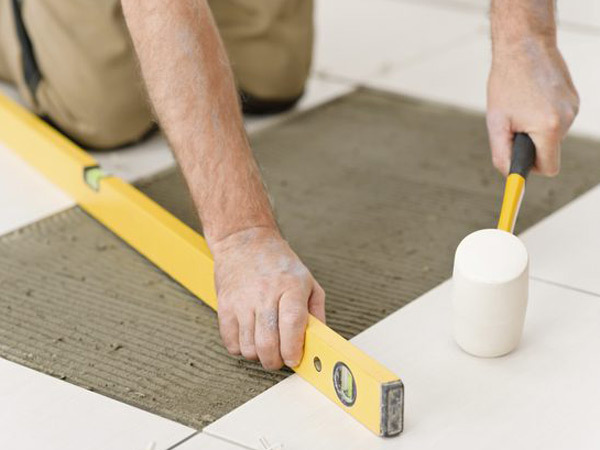 In addition to providing a good adhesive mortar, it must have sufficient flexibility, water absorption and a reduction in the coefficient of the thermal expansion between the base and the tile due to the covering material and the substrate and the tension that may be caused by the foundation. This requires a variety of ceramic tile adhesive to choose from, standard and flexibility, normal and fast setting, as well as special adhesive. For example, white mortar for natural stone, waterproof adhesive, castable mortar for floor tiles, gypsum-based adhesive and high-soft mortar for new mortar layer.